An all-day event, the Cromwell Cup is the largest summer regatta on the Charles River, with well-over 600 competitors of all ages (16 through 70+) and skill levels participating annually. Named after RBC member and 1964 Olympian Seymour Cromwell, the Cromwell Cup is a 1000-meter rowing race between Weeks Bridge and Magazine Beach on the Charles River. The event is run entirely by Riverside volunteers and encourages friendly competition on the Charles River and promotes awareness of rowing in the Boston-Cambridge communities. Number of Athletes: 600+ men and women athletes from all over New England and the Mid-Atlantic. Ages 16-70+ years old. Note: There will be a $5.00 fee for all line-up changes (per an entry), and a $15.00 scratch fee received after midnight on the Friday before the regatta. Please see below regarding trailer reservations. Late registration is available until the Friday before the regatta (Late fees apply). There is a cap of 250 entries for this regatta. Morning heats will be 1000 meter races from a floating start beginning downstream of Weeks Footbridge and ending downstream of the Riverside dock. Afternoon finals will be 4-lane 1000 meter races from a standing start, on the same course as the morning heats. 500 meter Dashes (Open 1x and Mixed Open/Masters 8+) will begin before the River Street Bridge and end past the Riverside Dock at the same finish line used for the 1000m course. For race rules and information on race day, please review the Regatta Packet. Trailers must arrive the night prior to the regatta. We ask that all trailers arrive between 7 p.m. and 9 p.m. Please note there will be volunteers and a ranger on-site at this time to help with traffic on Memorial Drive to ensure trailers can safely park in Riverside’s lot. Please note trailer towing vehicles will not be permitted to stay in the lot with their trailers on race day. You will be asked to move your vehicle. Competitors who choose to bring their boat via car topping will be able to drop off their boats at Riverside Boat Club on Friday and Saturday before the event with prior written permission from the Regatta Director. All other competitors must drop off their boat on Sunday at the main entrance to the Riverside Boat Club driveway. Parking will not be available in this lot. See Parking for Competitors and Volunteers for parking directions. There is no parking for spectators or competitors at Riverside Boat Club. Parking is reserved for trailers only. Equipment/people drop off is permitted but you must park elsewhere. The City of Cambridge on-street parking is legal and free for all non-residents on any side street in the City of Cambridge on Sundays only. Parking on Memorial Drive is not permitted and towing is enforced. Limited parking is also available at the Morse School across from the pool and the Sunoco Station. Parking here on weekends is legal. From I-95: Take exit 29 A to MA-2 E towards Cambridge. Continue to follow signs for route 2A towards Cambridge. At the first traffic circle just past the Fresh Pond Mall, take the 2nd exit onto Alewife Brook Pkwy/Massachusetts 3A S. At the 2nd traffic circle, take the 1st exit (bear right) onto Fresh Pond Pkwy/Massachusetts 3A S. Follow Massachusetts 3A, which will turn into Memorial Drive. Riverside Boat Club will be on right across from Trader Joe’s, after the River Street bridge intersection. From I-90 (MA Turnpike): Take exit 18 toward Brighton/Cambridge. Follows signs towards Cambridge and merge onto Cambridge St. After crossing the bridge over the Charles River, turn right at Massachusetts 3A S/Memorial Drive. Riverside Boat Club will be on the right across from Starbucks and Trader Joe’s. As a purely volunteer-run event, we are seeking sponsors whose missions align with ours and whose products would enhance an event that engages the local community. We plan to have a spectator zone near the finish line where companies and sponsors will have booths to demonstrate or sell their products to over 1,000 attendees. Please visit Regatta Central to register. 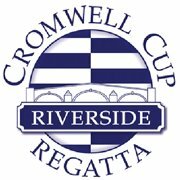 For updated information on this year’s Cromwell Cup please follow us on Twitter and use the official hashtag, #CromwellCup, on Instagram, Twitter, and Facebook. Waivers MUST be submitted in order to race. You may submit your waiver online, or print/scan/e-mail the completed waiver to regattas(at)riversideboatclub(dot)com or you may also bring the completed waiver with you on Sunday to Registration.